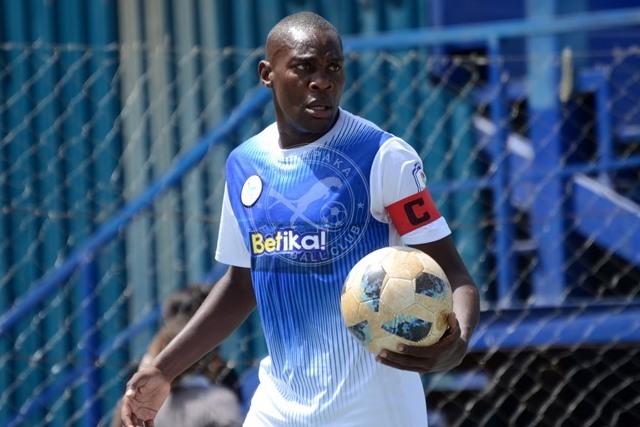 Sofapaka defender George Maelo has insisted on the importance of picking up maximum points against Mathare United on Tuesday to see the team further reduce the gap with the league leaders. Sofapaka is fifth in the Kenyan Premier League standings with 20 points, five behind leaders Mathare, but a victory on Tuesday afternoon at the Kasarani Stadium will see the team move all the way to second and bridge the gap to just five points. “This will be like a derby of sorts. Mathare is a very tough team and they are in good form because they’ve lost only one match. We know the task ahead of us is huge but the only option for us is to win so as to bridge that gap,” Maelo said. Maelo has further praised the team spirit within the squad saying the cohesion has hugely grown and believes the team is now at a more balanced position. “Everyone is working hard for each other in the game and in training, no one is assured of a starting place. Everyone has to work for his position and this has brought in a lot of improvement,” the experienced defender stated further.